Political allegory about race, class, and a host of other issues, I’m intrigued. Political allegory about race, class, and host of other issues, as enacted by dogs, what more can I ask for out of a movie? As a dog person (don’t get me wrong, I adore cats, but I’m first and foremost a dog lover), it’s like they made this White God trailer just for me. 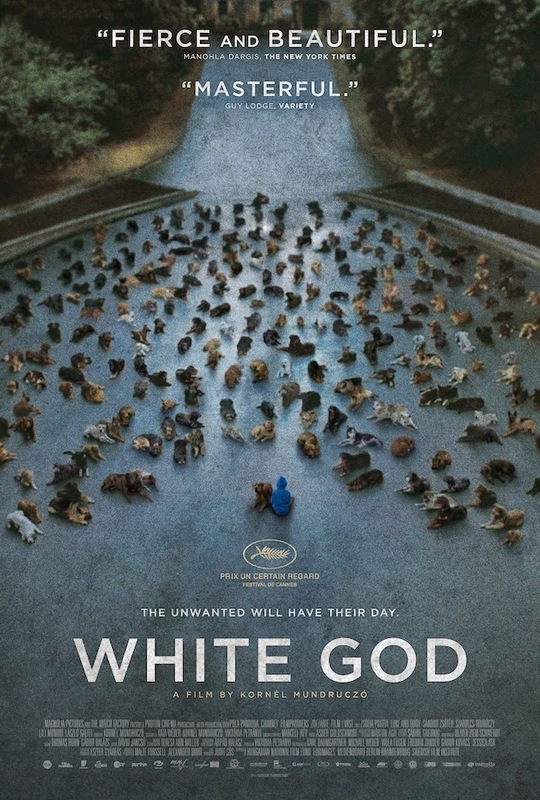 Directed by Kornél Mundruczó, White God walked away with the Prize Un Certain Regard Award at Cannes earlier this year, so you know there’s some substance and isn’t just the cinematic equivalent of an adorable dog video on the internet (though I’d watch that too). The film tells the story about an uprising among a group of dogs, mutts to be precise, that are deemed unfit by the state. They revolt against the government, as well as the humans who cast them aside like so much trash. There’s also a definite Incredible Journey vibe going on here, as you see a strong bond between a young girl and the lead dog. Yeah, I’m 100% going to cry at least once or twice during this. White God screens at Sundance early next year and hits theaters on March 27, 2015.